We sway on the cusp of a technological revolution that will forever reconstruct the very fabric of our society, the way we live, work and socialize with one another. The transformation that will most certainly sweep us off our feet is one that we are clearly aware of and one we can expect in the immediate future. Yet, it is one that will strike with such force, ferocity & totality that it will leave us wondering whether we could have been better prepared to accept & respond adequately. Our response must be orchestrated from the very roots of our conscience, integrated and comprehensive, involving all stakeholders of the global community, from the public and private sectors to the academia and civil society. Revolutions set the pace, we follow through. 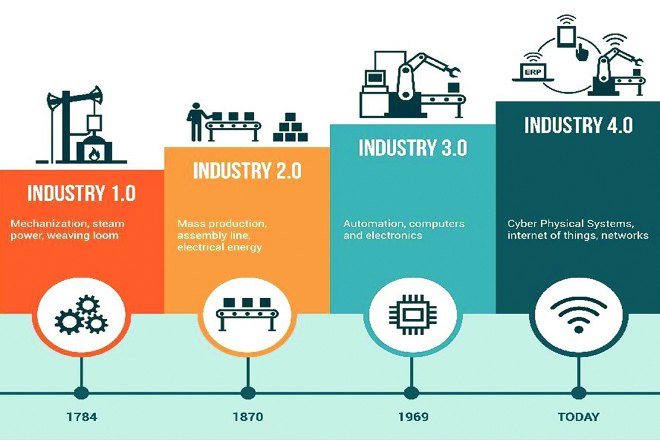 It all began when the first Industrial Revolution came about in the early 18th century characterized through the invention of the steam engine which mechanized the transportation industry. This technology was instrumental in powering large and major mechanical advances where hand production was conveniently replaced by machines that resulted in increased productivity and scalability to be then transported to via the railways in a frenzy of new market conquests. The second industrial revolution was fueled by electrical power, gas and oil. Thomas Edison and Nicholai Tesla ensured that these newly found energy sources could be further expanded enabling mass production that created an abundance of relatively cheap and accessible energy. Greater productivity, realized through the invention of devices like the light bulb and eventually smaller electric-powered devices created new wave industrialization that spread like wildfire among the masses. With developments in electronics, information technology emerged as a sleek operator that went on to automate everything from production to business processes. Much of this was powered by the personal computing revolution which was designated as the third industrial revolution. The change was magnanimous, widespread and connected what we now call the global village changing expectations, lifestyle and core principals of how society was previously molded. The Fourth Industrial Revolution stands on the shoulders of the Third in that it uses digital technology to facilitate and further automate systems and processes that required physical, human capital. This wave of automation is completely changing the way we interact with machines and computing. It is also blurring the lines between industries, technologies and the physical and digital worlds themselves posing innumerous challenges that now question the very roots of our existence. This digitalization now enables us to build a new virtual world from which we can steer the physical world. The once faint whisper, “Are robots coming to take our jobs?” is now more and more pronounced, as it reverberates over the expanse of societal uncertainty, should we be concerned just yet or wait until our own voices are engulfed in the deafening roar of machines that are poised to dictate the terms and conditions that we once upon a time dictated to them. What does this phenomenon hold for the banking industry? The banking system works by accepting deposits from customers, borrowing money from the Central Bank of Sri Lanka and raising money from the capital markets by issuing corporate bonds which is then used to create credit to be used for lending to whoever applies and qualifies for loans. Profitability is achieved only when the effective lending rate is greater than the effective borrowing rate. For the banks to be efficient, they must have competent people who understand credit and debit, interest rates, repo rates, systems and so on, so that they can create products that can be sold to customers for both deposit and lending purposes. However, current Ecosystem drivers that are technology-centric such as Google, Apple, Alibaba, are capitalizing on banking reform and fast encroaching the traditional realms of Financial Services. Shadow Banking (P2P, B2B and even crowd-funding), neo banking and FinTechs have experienced unprecedented growth whose trajectory is likely to continue at a pace and scale that can challenge the very foundations of banking itself. What we can expect is a truly digital experience to banking, similar to that of being driven in fully autonomous cars. Banking of the future will be fully integrated in the day to day activities of the consumer, not requiring a separate interface for banking. Technological Darwinism, so they call it, the effects of which are becoming more pronounced calls for vigorous effort towards adapting to the changing technological paradigms and scream innovation from the jaws of potential extinction. The challenge doesn’t stop here. The banking industry is now posed with many a challenge that takes the shape of stringent regulation, balance sheet pressures, the erosion of trust, and the regulatory red tape that limits the shift towards agile/low cost ‘customer-centric’ business models. What is alarming is our failure to acknowledge and respond to threats both direct and indirect, and our ignorance to exploit the potential opportunities that surface with the speed and precision required. For banks, process automation is a relatively new concept, when did we last calculate the time required to finalize an agreement, evaluate a credit document or perhaps grant a housing loan to a customer. By nature, banking relies heavily on human resources, back office processes are performed manually which means there is an absolute margin for error, incur higher costs and are not scalable. Legacy systems cannot cope up with the speed of innovation and complexity of processes and require substantial investment. Newmarket players mushroom overnight in all shapes and sizes offering automation and convenience over the digital expanse claiming market share giving the banks a stiff run for their money. With digitalization customers now expect a seamless experience across all channels. This omni-channel delivery must be met with an equally flexible & accommodative regulatory framework. Yet, the regulatory reforms of today take shape of a slow uphill crawl. The digitally savvy customer who is now accustomed to the convenience and bespoke services of Amazon, Netflix and Uber is ever demanding. It is natural that the expectation must be met by banks. Banks base decisions incomplete and imperfect information through interactions with customers they have limited knowledge about thus creating a significant bias. This is called information asymmetry. Behavioral economics confirms that we humans can never be fully rational and our decisions are based on truncated logic and information. This is called limited rationality. Markets are not efficient, this means people can gain from the market without putting in an equal amount of effort. This is called an inefficient allocation of resources. Artificial intelligence, robotic process automation, algorithms and big data are the new kids on the block, challenging the very foundations of banking. 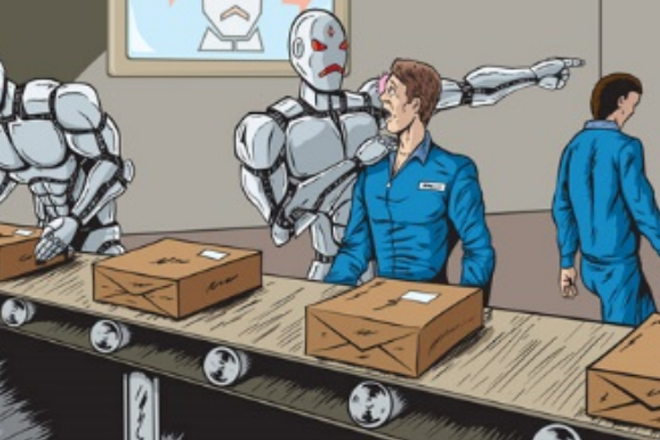 While the robots of today take over thousands of routine tasks and it is a matter of time since the inevitable elimination of many low skilled jobs especially in advanced economies and developing countries. The scope and challenge for work in the future is dependent on a specific set of skills which are namely a combination of the technological know-how, problem solving and critical thinking. It may seem tempting enough to follow the maxim, “Don’t fix what isn’t broken,” and the question many CEOs will deliberate on is whether they should stick to the existing business model which provides a stable return as opposed to plunge head on into the new world of digitization. RPA can be used to automate a wide range of processes that are repetitive, labor-intensive, and rule-based, especially in the service industry. The combination of Augmented Intelligence with RPA is the ideal recipe for success which entails predictive decision making, virtual customer assistants, and conversational user interfaces like chat-bots that immediately provide front line interaction with customers. The banking landscape is yet to saturate and hidden pockets of opportunity lie in the rural areas and suburbs. The mobile smartphone has penetrated the far corners of the remote villages, the temples and estates. It only makes sense to follow the light and reach out to service the population of both unbanked and under banked. Collaboration is key to serving these communities through a collaboration between a combination of fin-tech, multi nationals and telco providers. The customers of today are not here to purchase products. They yearn for a distinctive and refreshing experience, one that they can enjoy and talk about. The need of the hour is to provide just that through differentiation. We are not just selling banking; we want to provide peace of mind to managing wealth, providing security and helping clients realize their dreams. We must not rule out the millennials who are the customers of the future with a high demand for quirky personalization and swift response, remote access and seamless integration. Difficult as it may be, the future of work looks very different from the past and what we need a shift in the mindset, to be open about accepting change and to embrace change. We need people with grit, creativity and entrepreneurial spirit to venture on new missions, missions to make changes, rather than those who cling to the status quo. What is important is to accept technology for its brutal superiority but not underestimate human skills nor devalue it in the name of technology. Humans and machines play differently and each has its own strengths and weaknesses. When it boils down to a face-off between man and machine, even the experiment with artificial chess-playing machines acknowledge that the best chess player is actually a team of both human and machine.